Another busy day of action inside California's Bicycle Casino saw 71 players return for Day 3 of the WPT Legends of Poker Main Event. Having already waded through way through more than 600 players and made it past the bankroll boosting bubble a number of pros were keen to get the day started early. 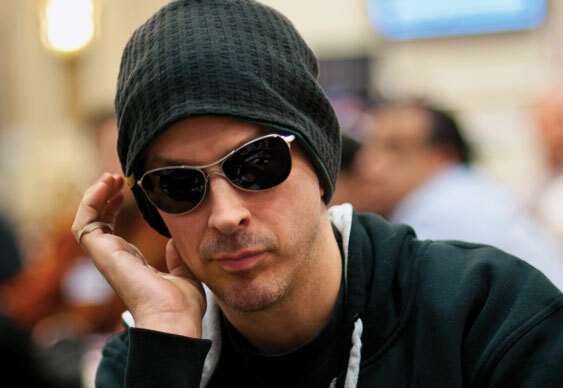 Indeed, in a move which doesn't usually become a poker player, Phil Laak was ready and waiting at the table almost 30 minutes before the session began. With the early pace set to be ferocious a number of pros found themselves caught unaware and unable to get up to speed fast enough. Indeed, by the time two levels had been completed the field had virtually been cut in half as the likes of Faraz Jaka (62nd - $8,095), Ali Eslami (56th - $8,095) and David Tuchman (44th - $10,210) were all sent to the rail. Laak's eagerness seemed to have paid off though as by the time that field was down to just 15 players he was still in the mix with over 900,000 chips. However, with the blinds quickly escalating, he soon found his stack dwarfed by that of Patrick Karschamroon. As the day gradually came to a close Karschamroon raced to an almost insurmountable lead and by the time things had come to a conclusion his 4,155,000 haul was almost double that of his nearest challenger John Gordon (2,190,000). When Day 3's numbers were finally in a total of 15 remained ahead of tomorrow's penultimate session.